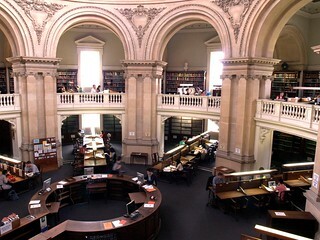 Next week Bodleian Libraries will be running workshops on data, images and reference management. Also don’t forget that this Friday we’ll be running WISER: Searching Online New Sources. ARTstor and Bridgeman: using images in teaching and learning (Tuesday 20 Nov 2.00-4.00) (wk 7) – The course examines two major digital image collections subscribed to by the University – ARTstor and Bridgeman Education – geared to research and teaching in the humanities, history of science and medicine, and social sciences. Viewing, presenting and managing images are also covered. Who is this session for? All members of Oxford University. WISER: Tech Tools – Reference Management (Wed 21 Nov 2.00 – 5.00) (wk 7) – Keeping track of your references and formatting them correctly for your thesis or publication is a chore. Reference management software makes it easy and is worth investigating. This introductory session gives an overview of how it works and the pros and cons of RefWorks, EndNote, Zotero and Mendeley. Who is this session for? Postgraduates, researchers and academics. Anybody who works with images in your teaching and research may be interested in the following two courses taking place in week 7 and week 6 respectively. Booking is required. ARTstor and Bridgeman: Using images in teaching and learning [Tuesday 7 February 2.00 – 4:00] – This course examines two major digital image collections subscribed to by the University – ARTstor and Bridgeman Education – geared to research and teaching in the humanities, history of science and medicine, and social sciences. Viewing, presenting and managing images are also covered. Presenter: Clare Hills-Nova and Vicky Brown. > Book your place. WISER: Tech Tools – Reference Management [Wednesday 8 February 2.00 – 5.00] – Keeping track of your references and formatting them correctly for your thesis or publication is a chore. Reference management software makes it easy and is worth investigating. This introductory session gives an overview of how it works and the pros and cons of RefWorks, EndNote, Zotero and Mendeley. > Find out more about courses in reference management. Presenters: Ljilja Ristic, Ollie Bridle and Angela Carritt . > Book your place. Oxford users can view the Via Lucis collection or enter the keyword search: “Via Lucis”. Ada Rehan as Sylvia and Virginia Dreher as Mistress Melinda in a scene from “The Recruiting Office,” 19th century. University of Illinois Theatrical Print Collection. ARTstor has collaborated with the Warburg Institute Library to share more than 10,000 images of Renaissance and Baroque book illustrations selected from the rare book collection in the Digital Library. The course examines two major digital image collections subscribed to by the University, ARTstor and Bridgeman Education, geared to research and teaching in the humanities, history of science and medicine, and social sciences. Viewing, presenting and managing images are also covered. “ARTstor is collaborating with Sarah N. James to add more than 450 images of Italian architecture and painting and more than 400 images of English art and architecture to the Digital Library. The new images will join James’s collection of more than 600 images of Italian and English architecture. The collection currently centers on England, including cathedrals and parish churches from the Norman Romanesque period; ecclesiastical buildings in the early English, decorated, and perpendicular styles; medieval secular architecture including castles, marketplaces, and town halls; perpendicular gothic collegiate buildings; and Tudor, Elizabethan, baroque, and neoclassical country houses and churches. Photographed in situ during James’ travels throughout Europe, the images provide contextual views of sculpture and architecture from various angles. There’s no need to download special software, just go http://library.artstor.org from your mobile device. ARTstor Mobile is only available through the Safari browser. ArtSTOR now has useful subject guides, esp. This should help users make better use of the extensive collections of images!